Deceptively difficult to categorise, the insanely named Sunshine Frisbee Laserbeam are equally ridiculous in their prolificacy, growing at least 100 apples on their tree per day. Not for nothing have the band been compared with Guided By Voices on more than one occasion! Blackout Cowboy immediately hits us with tracks like the splendidly titled ‘Meatloaf To The Camera‘ which, while it undeniably has a chorus that might well have Paul McCartney running to his lawyers due to its similarity to Wings‘ 1974 top ten hit ‘Jet‘, actually it is probably better described as that something that melds the deliberately slacker-like production of early Teenage Fanclub with the perfect pop sensibilities of Bob Mould circa Sugar‘s brilliant Copper Blue album. But the band aren’t going to be pigeonholed that easily, oh Hell no, so ‘Running From My Ghost‘ has more in keeping with those wonderfully vibrant early demos from Elle Milano (now there’s a band that really ought to have been bigger), while the likes of ‘Adult Memory Oww‘ lies somewhere between Elvis Costello‘s This Year’s Model and ‘Freak Scene‘ era Dinosaur Jr, though sometimes the music here has the commercial nous of Foo Fighters – a beck and call to suggest the band wouldn’t be uncomfortable touring major arenas, should they ever choose to follow that path. Sunshine Frisbee Laserbeam are pleasingly uncompromising though, so even when you think you have their number, they’ll pounce out from the shrubbery and confound you once again. So title track Blackout Cowboy unexpectedly, halfway through, turns into something that could easily have found its way onto a Terry Hall solo album. And I daresay that any number of seventies classic rockers would kill to have a song as strong as ‘Mk Ultra‘, cheekily borrowing the melody of Lene Lovich‘s “Uh oh uh oh” passage from her incendiary 1979 hit single ‘Lucky Number‘ along the way. In short, their fuzzy brand of pop/rock is hard to resist, and the band is rapidly becoming one of Birmingham’s key players on the live circuit. 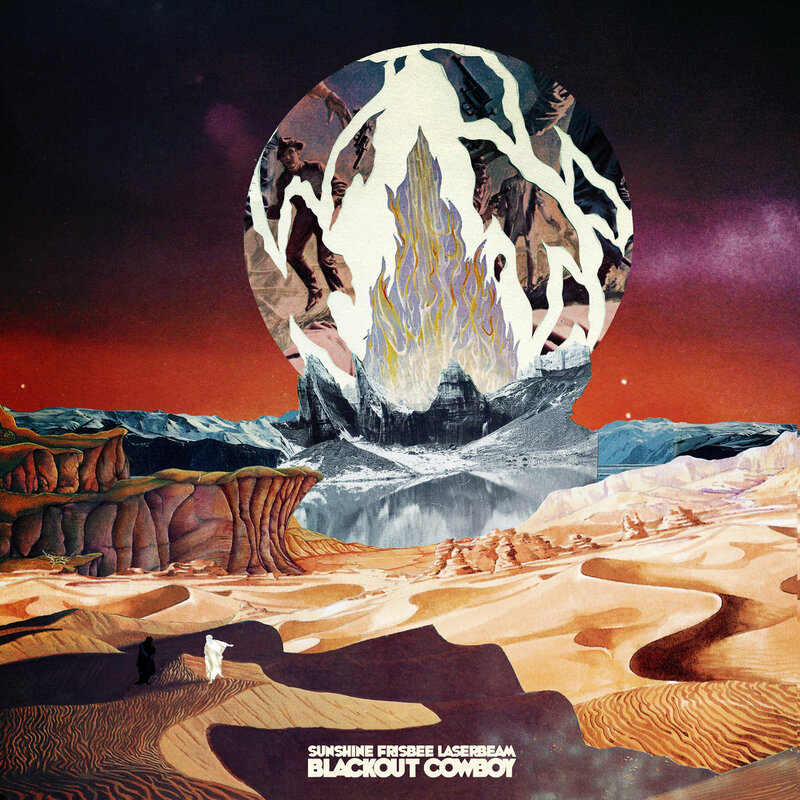 If they keep producing albums as strong as Blackout Cowboy, then really, who KNOWS how far they can go? Blackout Cowboy is out now on By The Time It Gets Dark.